The whole valentine week day is given a specific name. The rosy day is the day when the unsaid words can be expressed by giving a red rose. 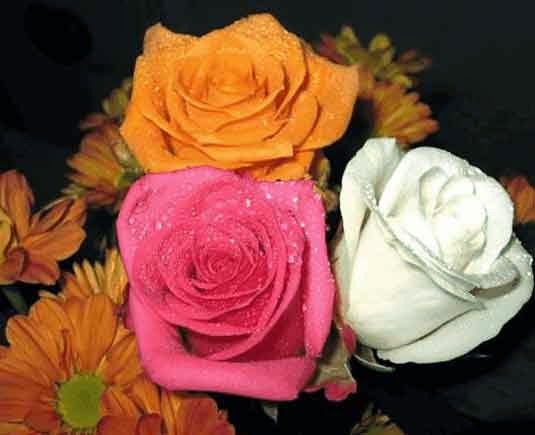 The rose is given on the rose day with a intention to propose. Red rose is the symbol of love..........HAPPY ROSE DAY!!!! Roses have a long and colorful history.They have been symbols of love, beauty, war, and supremacy.“When love first came to Earth,the Spring spread rose-beds to receive him.”HAPPY ROSE DAY!!! Rose is red,Sun is bright,Moon is cool and I want to gift you all these Happy Rose Day!